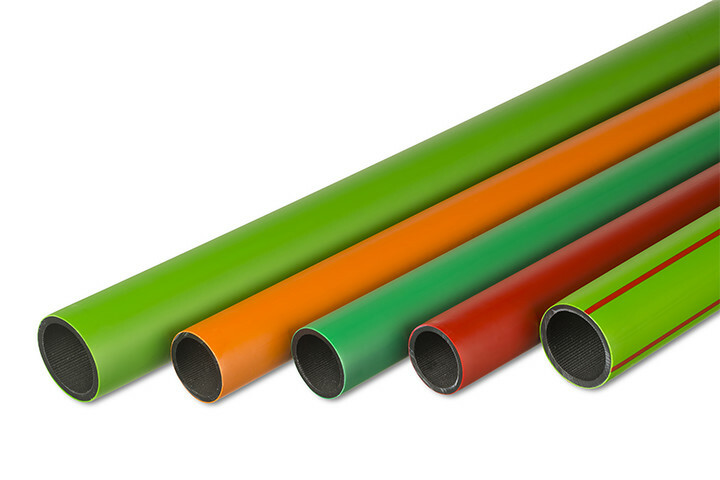 In order to make the blowing in of fibre optic cables more efficient and to protect these cables, Electroplast offers the Dual cable protection tube. 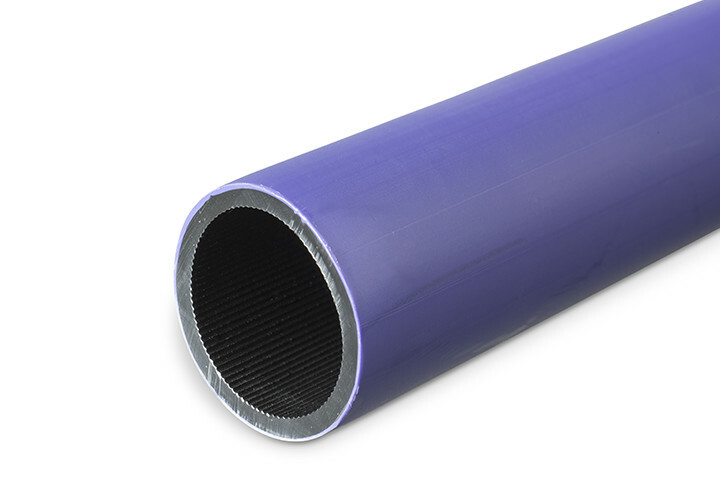 This is supplied as standard with a smooth outer surface and a grooved inner wall, so that there is minimal frictional resistance between the cable and the tube wall. 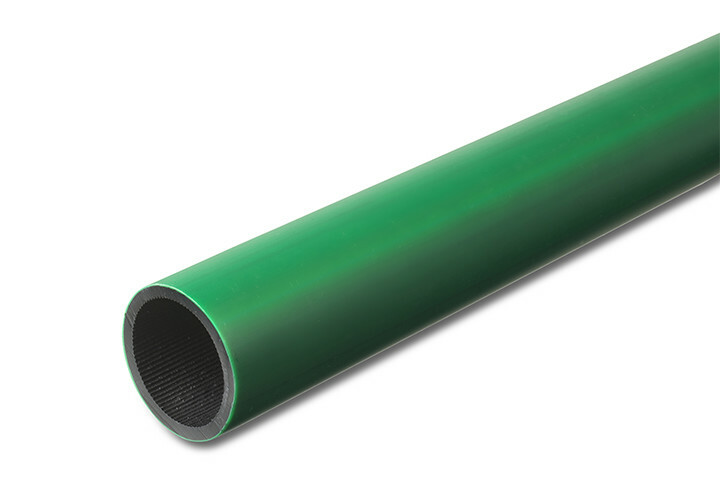 The Dual-protection tube is produced partially from top quality HDPE compound and complies with NEN EN 921. Made from highly durable High Density Polyethylene (HDPE). Fast and effective blowing in of cable through internal profiling of the tube wall. Meets NEN EN 921 (resistance against internal water pressure in accordance with ISO 1167). Tube may be provided with any desired text. 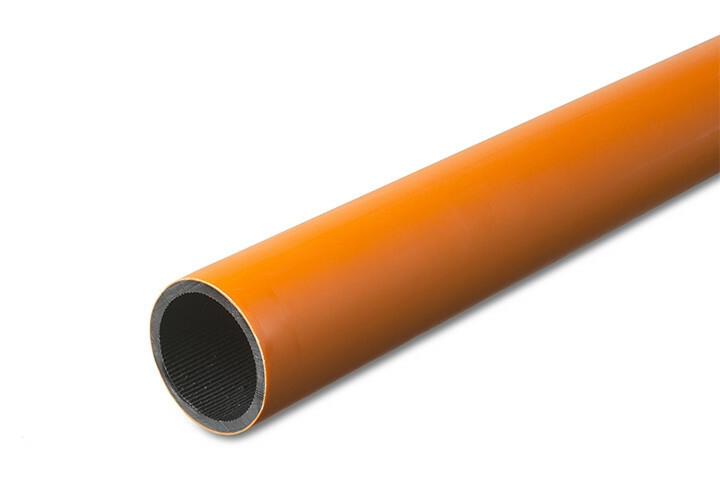 You can order the Dual tube in the diameters 32, 40, 50 and 63 mm. 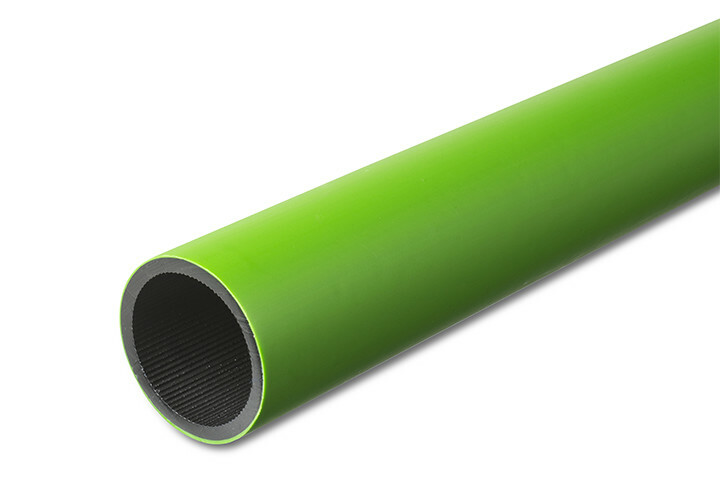 The outer side of the tube is available in any colour desired. The inner side is black. 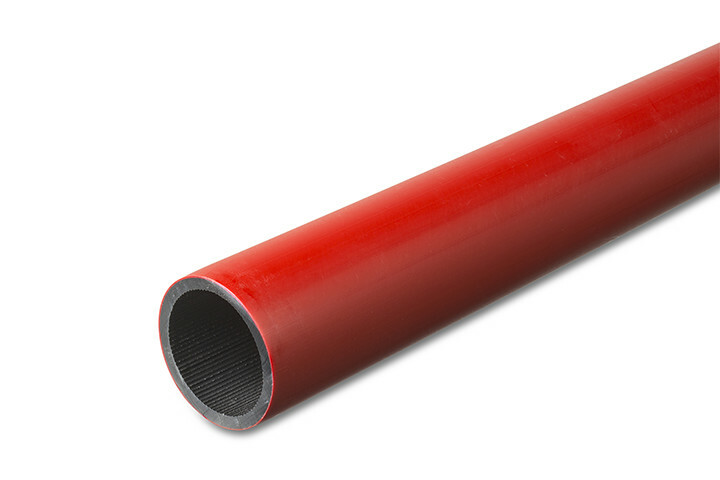 As standard you receive the HDPE tube on wooden reels, type 1855. If required, we can provide the tube on rolls that can be unwound with separable reels. 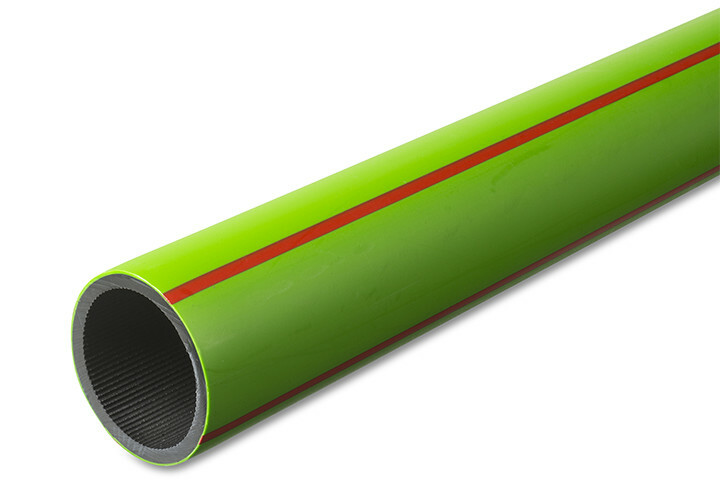 For longer cable routes Dual tube on steel reels with a larger diameter is also available.